February 19, 1922 ~ December 22, 2017: Helen's favorite things were going to church, playing music at home, in church, and at rest homes, quilting, and having family get-togethers. Helen Alberta (Hixon) Ruebesam Coker was born on February 19, 1922 in Wauneta, Nebraska to Charles Albert and Rose Ella (Foster) Hixon. Upon graduation from high school, she taught in one-room school houses near Imperial, Nebraska. She was a war-time bride, traveling from Nebraska to Albany, Oregon, to be married to Virgil Wayne Ruebesam, Sr. who was briefly stationed at Camp Adair prior to serving in Europe during World War II. For their 40th wedding anniversary in 1982, they renewed their vows and had the privilege of celebrating this event with the couple who had served as best man and maid of honor and also the pastor who had performed the marriage ceremony in 1942. Helen was a member of the American Legion Auxiliary Unit 114. After Virgil passed away in 1990, Helen began spending about half of the year in Nebraska and the other half in Oregon, so she could be close to family in both places. She subsequently married William Stewart (Stew) Coker and lived with him on a ranch near Sutherland, Nebraska. After he passed away, she continued to live on the ranch, but also continued to travel to Oregon each year to see her children and grandchildren. One of her favorite things about the ranch was that she could raise peacocks. At the age of 88 she married Melmuth Dean McKay of Salem, Oregon. While she loved living on the ranch, in 2015, she decided it was time to sell it and move full-time to Oregon. She purchased a home in Salem to be close to her children and grandchildren. She could no longer have peacocks where she lived, but her home was filled with peacocks-pictures, pillows, plates, and you name it. Helen was a life-long Christian who gave her heart to the Lord when she was just a small child. 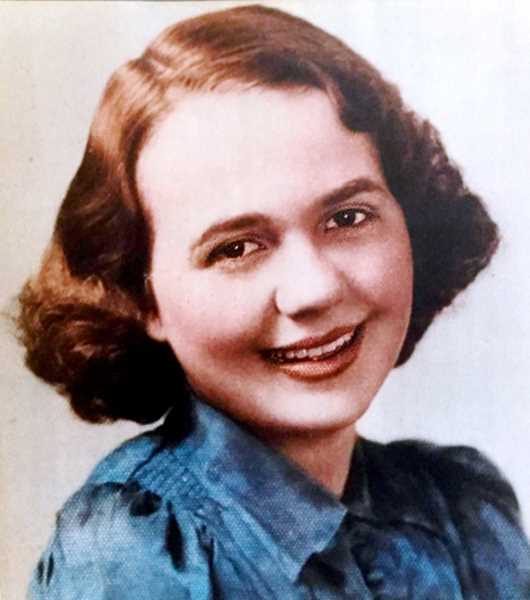 She loved singing Christian songs and playing them on her piano, organ, and accordion. Helen's favorite things were going to church, playing music at home, in church, and at rest homes, quilting, and having family get-togethers. There were several highlights in her life, but one was when she was able to attend her 70th class reunion in Imperial, Nebraska. She also loved to travel and during her lifetime, she visited all 50 states. Helen is survived by her husband, Melmuth (Dean) McKay, her five children, Virlena Crosley, Gloria Owen, Virgil (Bud) Ruebesam, Jr., Starla Whitney, and Karla Goetz, 13 grandchildren, and 20 great grandchildren. A celebration of life service was held at the Brooks Assembly of God Church on January 5, 2017. Arrangements were made by Simon Cornwell Colonial Chapel in Woodburn.